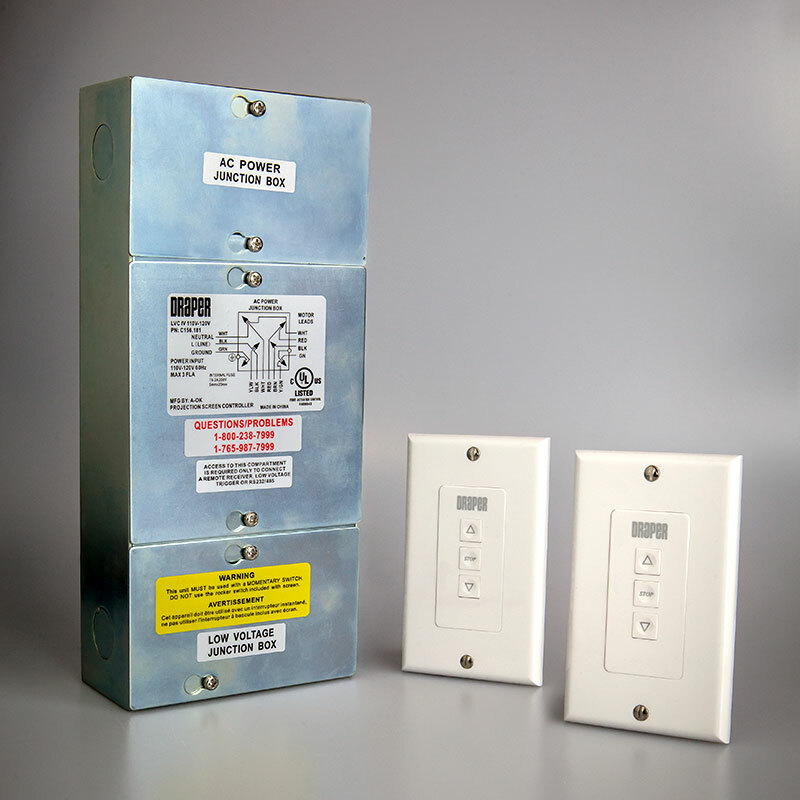 Controls for Electric Screens :: Draper, Inc. 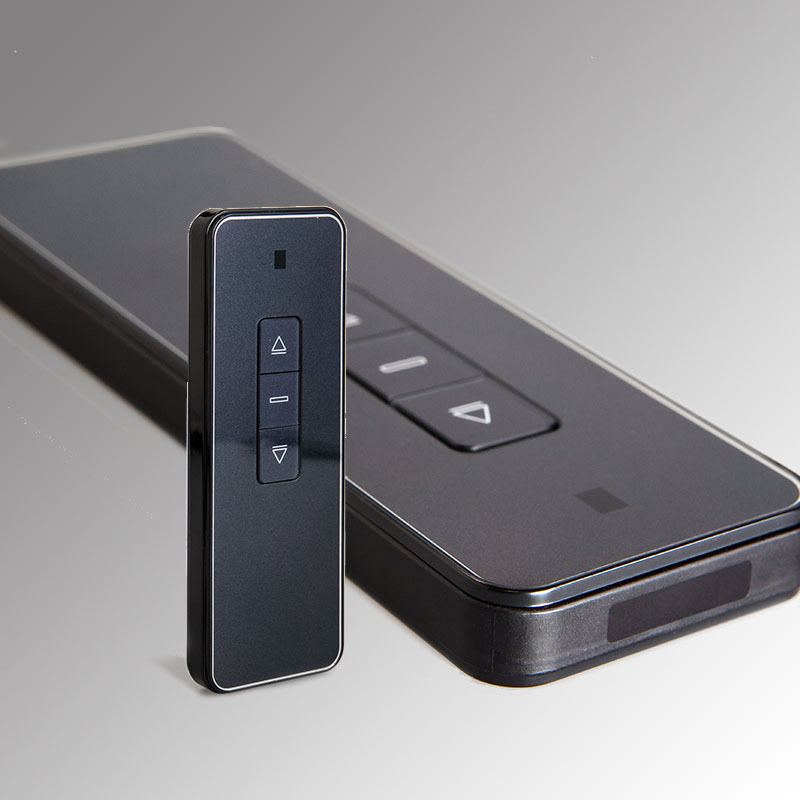 The Infrared Remote Transmitter IRT features an infrared (IR) handheld, 3-button transmitter for wireless control of electric screens. It provides up, stop, and down directional functions. The transmitter requires a receiver and is designed to be used with the LVC-IV low-voltage control module. The IR remote control transmitter does not need to be “learned” by the LVC-IV; simply point and operate. 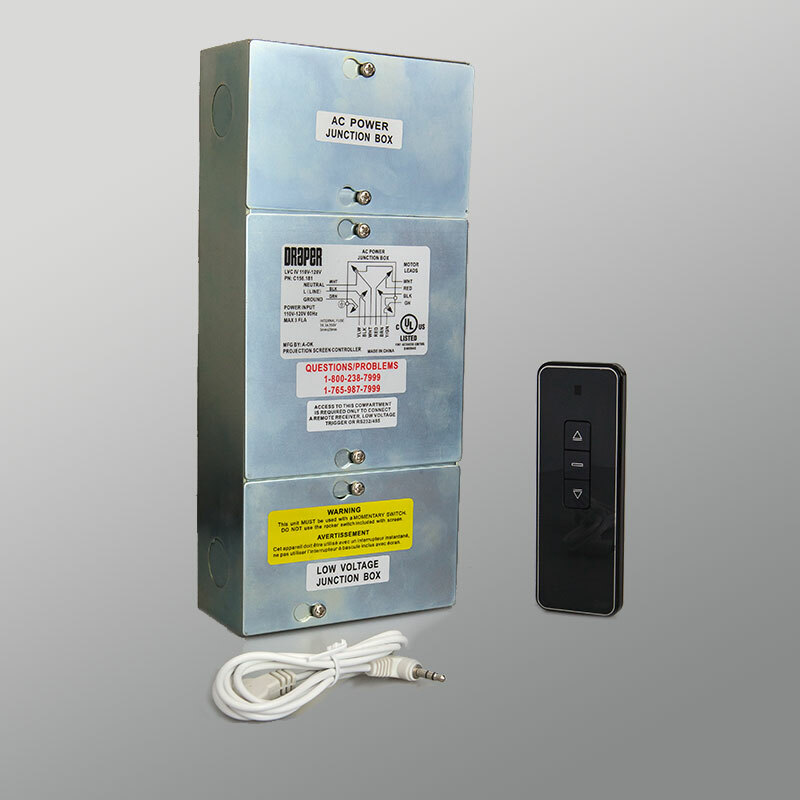 The IRT/R offers an infrared remote transmitter and receiver for use with the LVC-IV low-voltage control module. 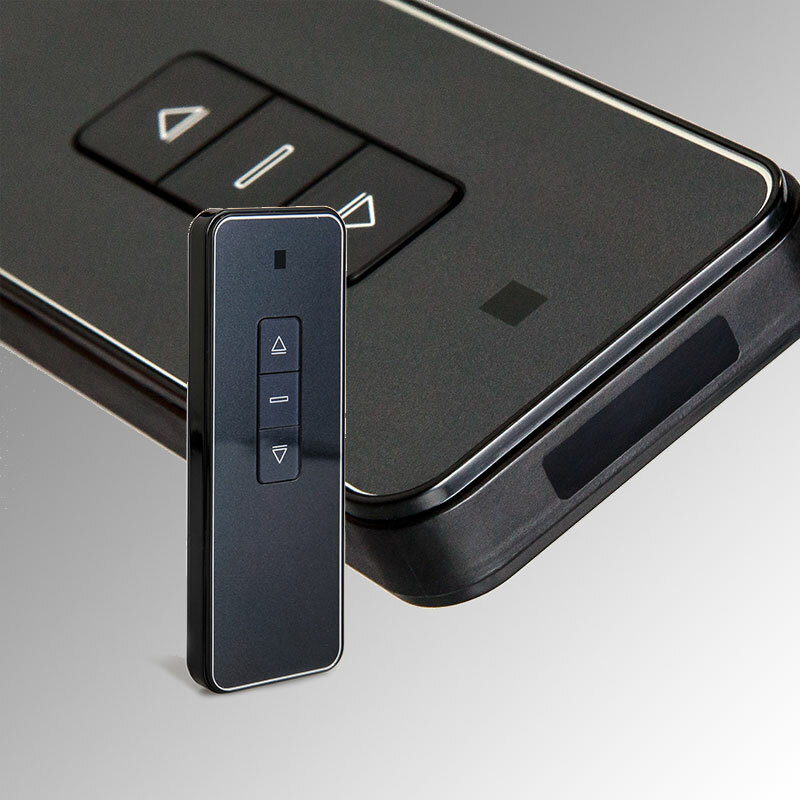 A low-voltage, 3-button handheld remote provides up, stop, and down directional functions. Fully compatible with "learnable" IR master control systems. LVC-IV & 2 LVC-S offer low-voltage control options for electric screens. The LVC-IV module provides single 110V/220V motor control through a variety of low-voltage control options. The module includes: 3-screw terminal block for a low-voltage wall switch, IR receiver jack, built-in RF receiver, two (2) RJ25 ports for RS232/RS485, low-voltage relay port with cable, and user-serviceable 3.5 A fuse. 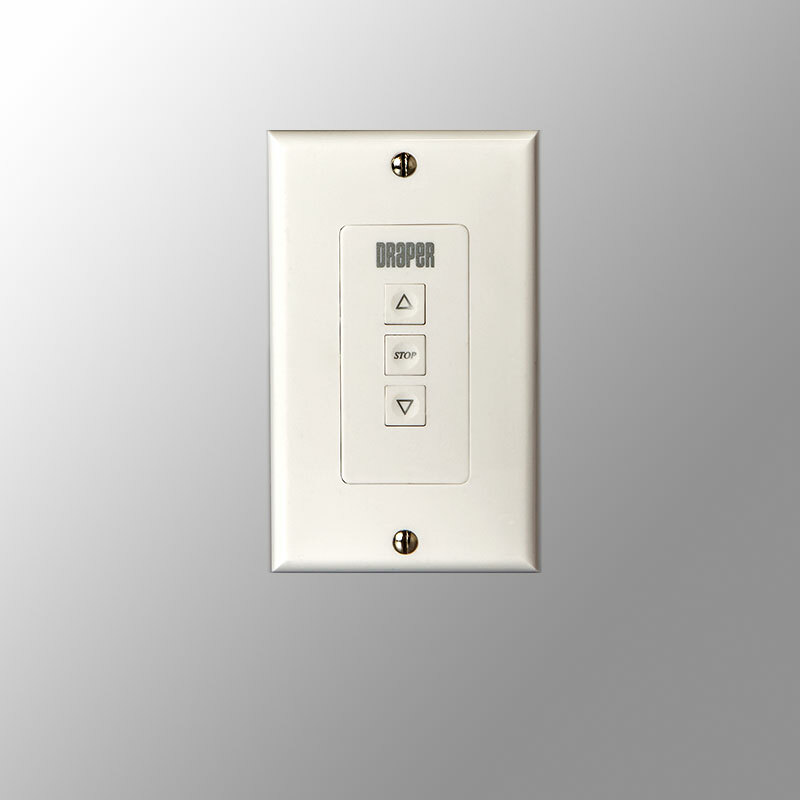 The LVC-S switch features 3-button operation with directional functions: up, stop, and down. Three screw terminals on the back of each switch connects to the LVC-IV using your own low-voltage cable. The LVC-IV (Low-Voltage Control Module) provides single 110V/220V motor control through a variety of low-voltage control options. The control module includes: 3-screw terminal block for a low-voltage “dry” contact wall switch, IR receiver jack, built-in RF receiver, two (2) RJ25 ports for RS232/RS485, low-voltage relay port with cable, and a user-serviceable 3.5 A fuse. Low-voltage wireless control for electric screens, the LVC-IV features infrared technology. 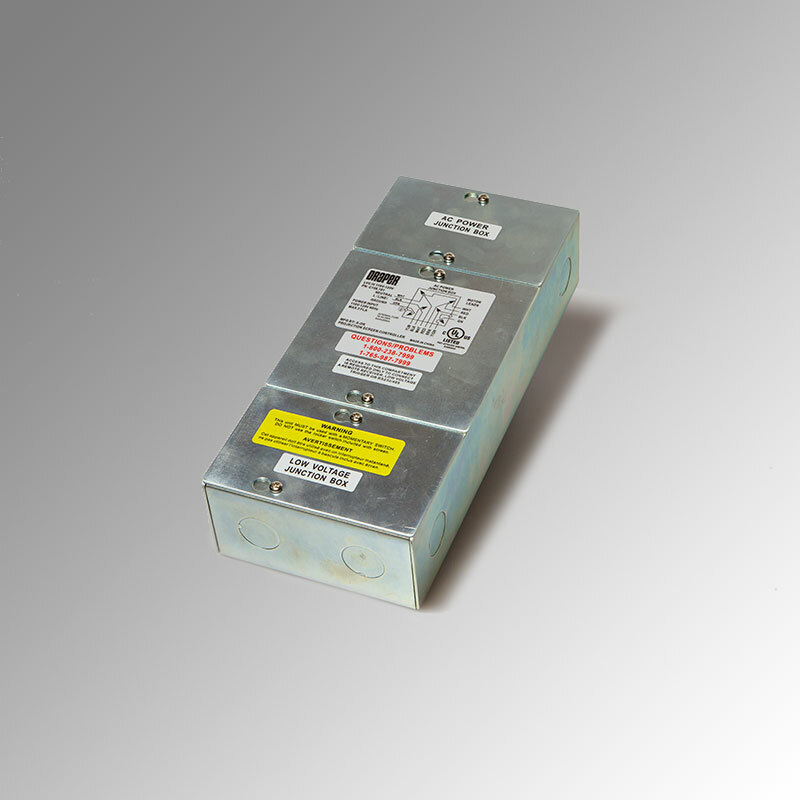 The LVC-IV low-voltage control module provides single 110V/220V motor control through a variety of low-voltage options. The control module includes: 3-screw terminal block for a low-voltage “dry” contact wall switch, IR receiver jack, built-in RF receiver, two (2) RJ25 ports for RS232/RS485, low-voltage relay port with cable, and user-serviceable 3.5 A fuse. 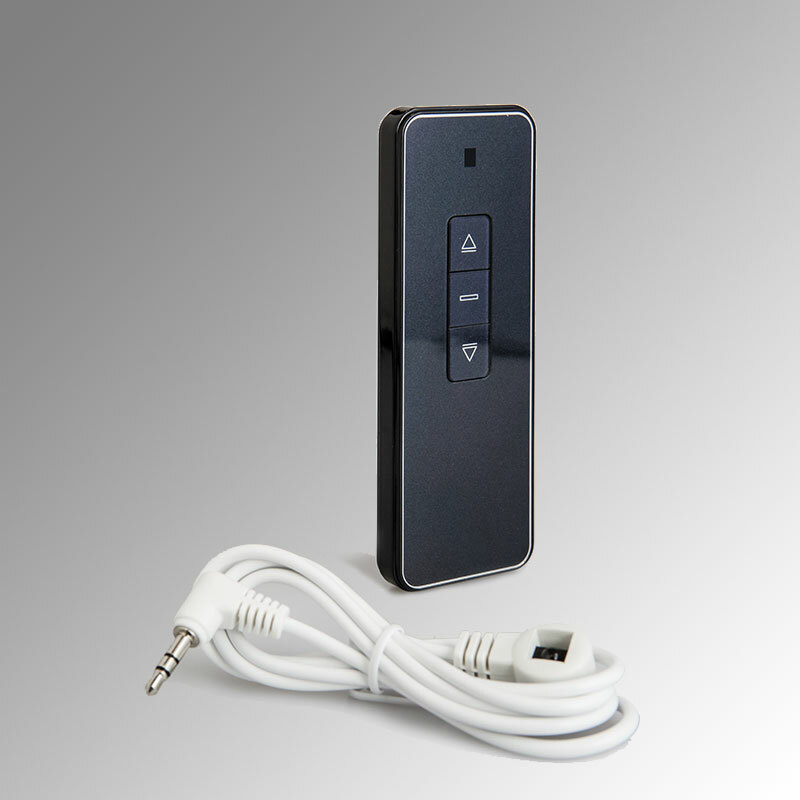 The (IR) remote control transmitter features 3-button operation with up, stop, and down directional functions. The IR remote control transmitter does not need to be “learned” by the LVC-IV. Simply point and operate. The LVC-IV/WRT Kit features a handheld radio frequency (RF) transmitter for wireless control of electric screens. 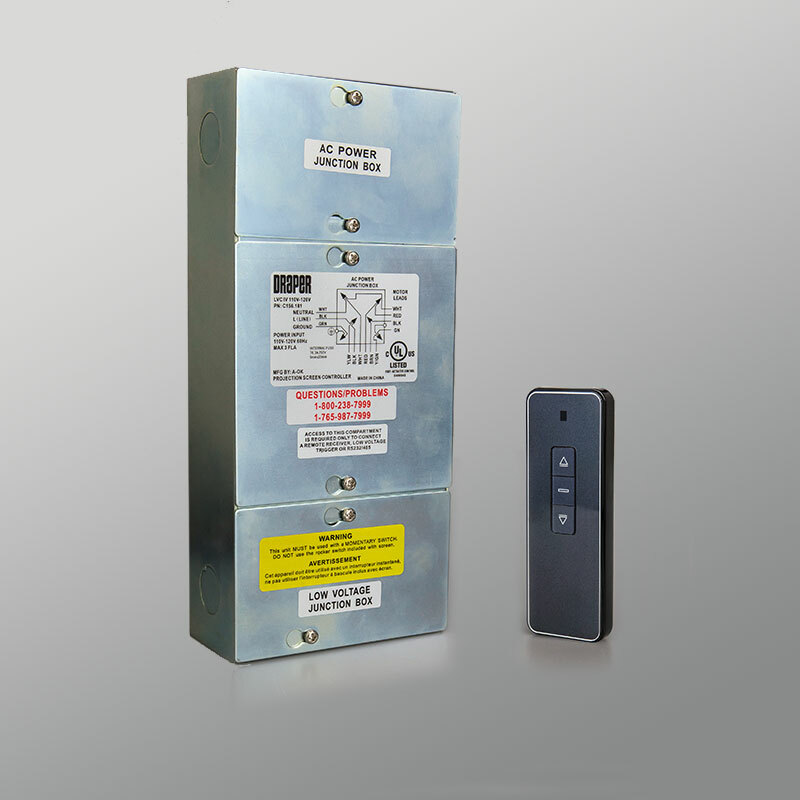 The LVC-IV low-voltage control module provides single 110V/220V motor control through a variety of low-voltage options. The control module includes: 3-screw terminal block for a low-voltage “dry” contact wall switch, IR receiver jack, built-in RF receiver, two (2) RJ25 ports for RS232/RS485, low-voltage relay port with cable, and user-serviceable 3.5 A fuse. The wireless radio frequency transmitter offers 3-button operation with up, stop, and down directional functions. 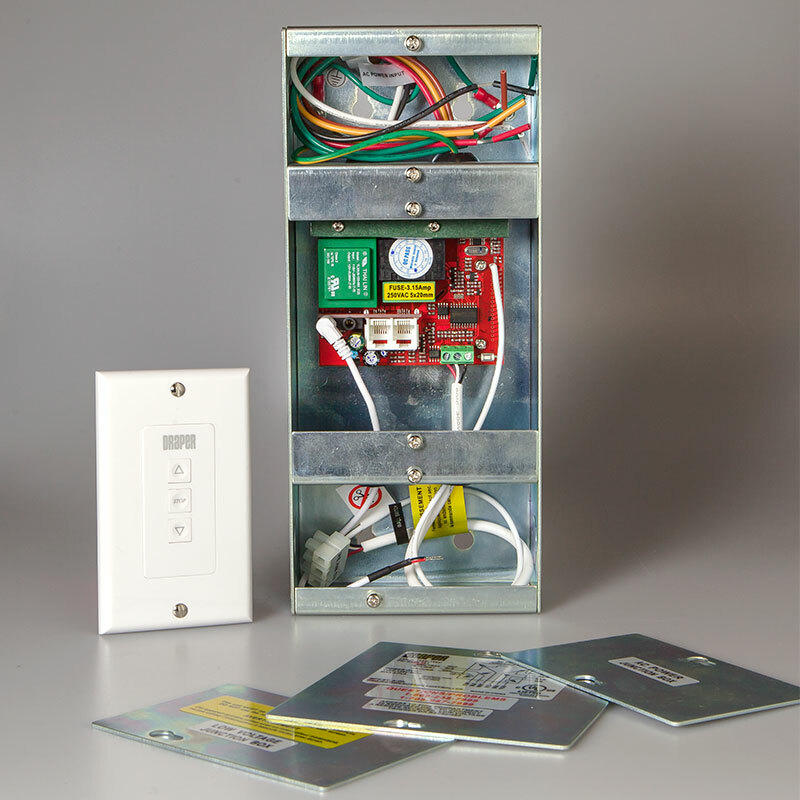 The LVC-S is a single-station, low-voltage control option designed to be used with the LVC-IV for electric screens. It features 3-button operation with up, stop, and down directional functions. Quick connect terminals on the back of the switch connect to the LVC-IV using your own low-voltage cable. Where the ability to control access is required, the wall-mountable LVC-S with Locking Cover ensures a certain level of security for electric screens. 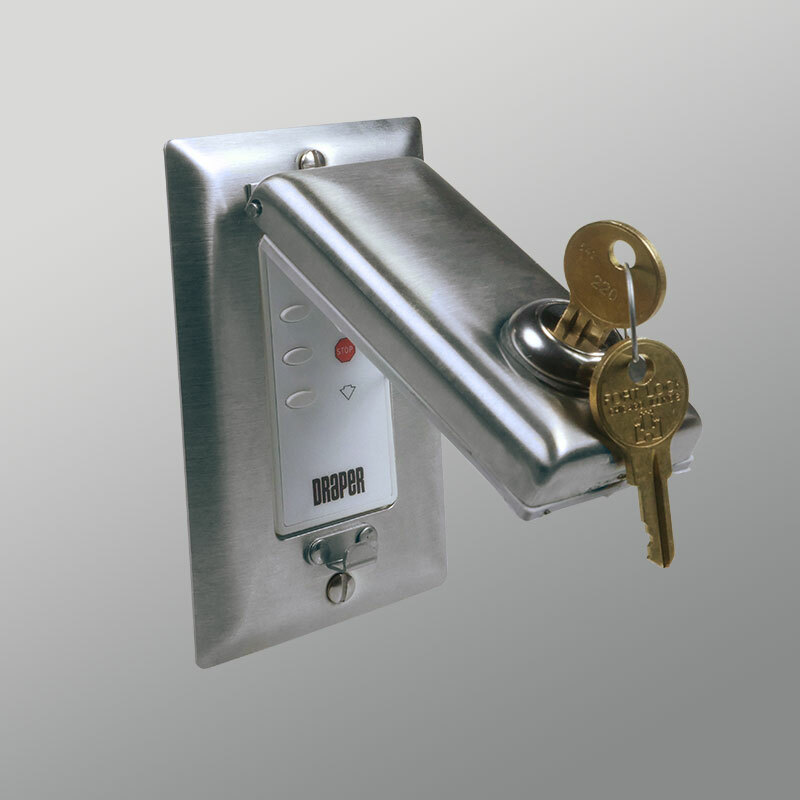 It offers a 3-button wall switch with up, stop, and down directional functions, and a locking cover plate to limit screen access. Three screw terminals on the back of the switch connect to the LVC-IV using your own low-voltage cable. The Wireless Transmitter, RF Type, WRT features a handheld radio frequency transmitter (WRT). The 3-button control lets you stop or change direction at any point. Designed for use with LVC-IV Low Voltage Control Module.